Pine forests and apple orchards, crisp, clean air and breathtaking views - that's Shimla in a nutshell. One of the most famous tourist destinations of India, Shimla is located in Himachal Pradesh the district of Shimla has amazingly beautiful forests of firs, pines, oaks and rhododendron. The beautiful meadows with hyacinth, celandine, asphodel, climb gently up to the deodar forests and further up to rocky and snowy peaks of the Himalayas This beautiful hill station derives its name from "Goddess Shyamla", who is supposed to be an avatar of Goddess Kali. This lovely hill station was 'discovered' by the British who immediately fell in love with this place. Infact, they went to the extent of declaring Shimla as their summer capital. Shimla abounds in natural bounty and looks picture perfect. The small hill station amidst the lofty snow-clad Himalayan ranges, surrounded by lakes and lush green pastures look as though an artist has painted them. This museum is indisputably one of the prime tourist attractions in Shimla and remains open to the public except on Mondays and public holidays. This museum houses a fine collection of antique sculptures, paintings, coins, photos and other items not only from the state but also outside it. You will also find a library here which houses several historical books and manuscripts. Also famous as “Rashtrapati Niwas”, it is a spectacular building located on the Observatory Hills and was formerly the residence of the British Viceroy Lord Dufferin. Its construction was accomplished in the year 1888 and every brick for the building was carried by mules according to the sources. The massive six-story building is surrounded by well manicured gardens and lawns. The Summer Hill is located at a height of 1283 meters above sea level. This charming spot is famous for its university of Himachal Pradesh that is located here. 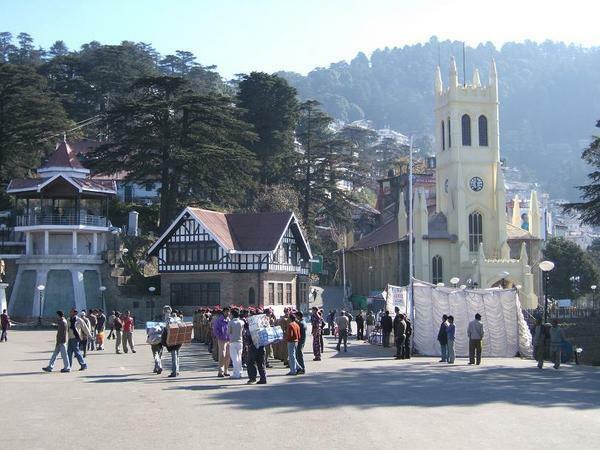 It is said that Mahatma Gandhi used to come to stay here during his visit to Shimla. With the honour of placing itself in the Guinness Book of Rail facts and Feats, the toy train deserves a bigger name! The toy train to Kalka and Shimla is one out of 20 vintage mountain railways running in the world. Mastermind of Lord Curzon, this narrow gauge train covers the distance of 96 kms in six hours going through 103 tunnels, 969 bridges with 919 curves, 20 railway stations and 5 level crossings on the route. The train started running in 1904 A.D. and is an engineering marvel. Going through the most picturesque mountains and valleys, the traveller seldom remembers the slow pace of the train. The longest tunnel that it passes through is around 6000 feet with the immediate next follows which is a kilometre long. Radisson Jass Hotel, a 5 star hotel is nestled in the scenic locales of Shimla in a quaint location. A proud member of the 400 strong Radisson group of hotels, it's un-matched services and state of the art facilities offer guests a perfect abode in the hills. 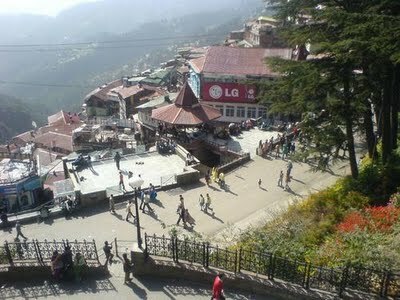 It is ten minutes walking distance from the Ridge / Scandal Point at Shimla. The facilities ensure an especially comfortable and relaxing stay for the guests. Most of the rooms afford a spectacular view of the magnificent mountains and breathtaking valleys and overlook the dense forests below. Find out more budget hotels in Shimla.